This is a story about a journey. A journey in a faraway land, where men seek riches beyond anything they have ever known before. They do not know if their quest will result in success or failure, but they are going to try anyway, for the reward is too great to not. Oh, wait, that’s the story behind the making of “The Great Wall” the movie, not the story of the movie itself. 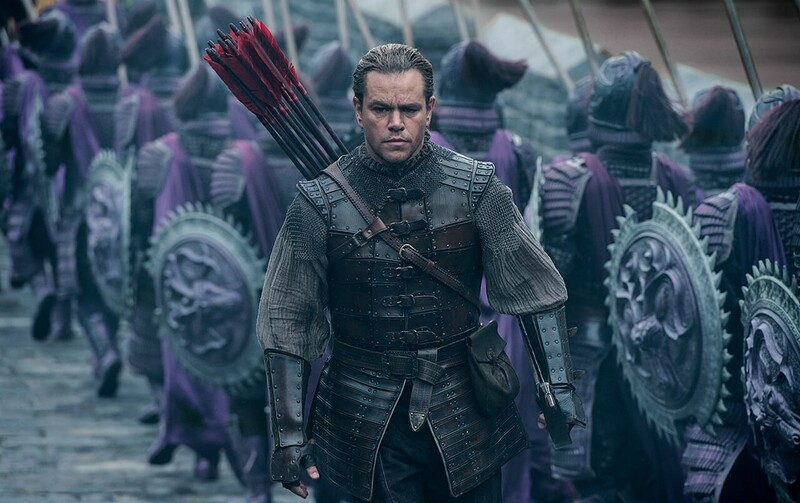 No, the movie is about Matt Damon winding up a prisoner of a Chinese army and ultimately joining their fight against a bunch of green monsters who all look the same and devour living orgasms like zombies. Considering how popular zombies are, I’m surprised they didn’t just include them in the screenplay. 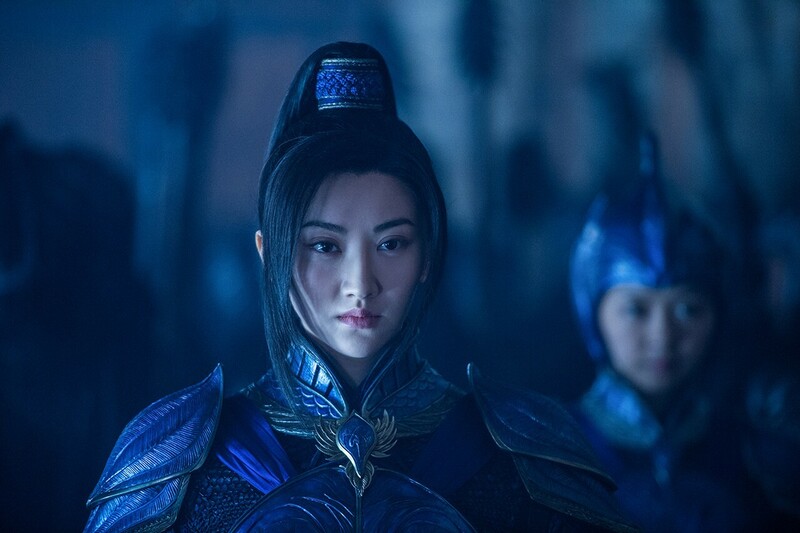 Then again, “The Great Wall” is an odd film: it was made with American dollars yet it seems more interested in the Chinese market. How else can you explain how most of the movie is subtitled? How else can you explain Matt Damon’s character almost being a passive aggressive player despite being the main protagonist? How else can you describe how much more important Jing Tian’s character is (though, to be fair, she is a VERY good actress)? Some American’s may take issue with the fact that the Great Wall of China is transformed into a sort of medieval high tech Transformer, but from the little research I’ve done the Chinese audiences are eating up the idea. If they flock to see this movie in droves can we expect the White House to turn into a weapon of mass destruction in the inevitable sequel? Never mind, I don’t want to give them any ideas. I laugh at this now, but the reality is “The Great Wall” is probably going to be viewed at more as an interesting experiment into how important the Chinese market is going to be to movies from now on. The fact that Damon agreed to star in this over the (much better) “Manchester by the Sea” is information we must ponder. Why would he make such a movie? Why pass up a really good project to be in something that has moments of beauty, but ultimately leaves no lasting impression? The answer, of course, is because this isn’t a movie for Damon: it’s an investment. It’s an investment in a foreign market that Hollywood is investing heavily in. There are rumors that China wants to create an industry that will rival that of America. Since most tickets are sold to them than they are us, it makes sense that he would want to be part of that market. 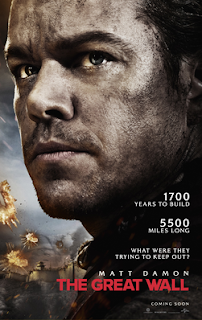 Despite all this, “The Great Wall” is never able to truly embrace the Chinese culture it is based so heavily in. The costumes and sets are gorgeous and give off a real sense of cultural style. The women are dressed in blue while the commanders are dressed in red. Those who study Chinese history will understand why the soldiers costume colors are so important. However, the movie also throws ugly monsters that have no creativity for the main characters to fight, all while masking some of the most intense scenes in fog and mist, making it hard to see what is going on. The film spends so much time on the Chinese generals and their dilemma, that when Damon’s character (who is named William, by the way) decides he wants to fight for something greater than money, we in the audience have completely missed the moment where he realized his life needed a higher purpose. There is at least one climatic battle where the style, visual, and camera movement matches that of a Chinese martial arts film almost perfectly (and I would be remiss if I didn’t mention that director Zhang Yimou was Chinese himself), but overall “The Great Wall” is an American movie masquerading as a Chines film, all in an attempt to win over a foreign market. Even the 3D seems to be more because the Chinese market likes it (as opposed to the film benefitting from it). I’ve seen worse movies to be sure, but what does it say when I feel the meeting the movie was pitched at would have been more interesting to watch then the final product? Parents, there is some minor language and scenes of violence and gore. To the films credit though, most of the gore is green. Recommended for ages 12 and up.